Women spend 72 days shaving their legs over the course of a lifetime. If you want a more precise number, that is approximately 1,728 hours. In the same time, shaving ranks as the most hated beauty ritual among women. One-third of women say that they loathe shaving their legs more than anything else. So, with that in mind, is there a better alternative than shaving. One of the better alternatives is trying the epilator, a device that will make you change from shaving to epilating in terms of hair removal. 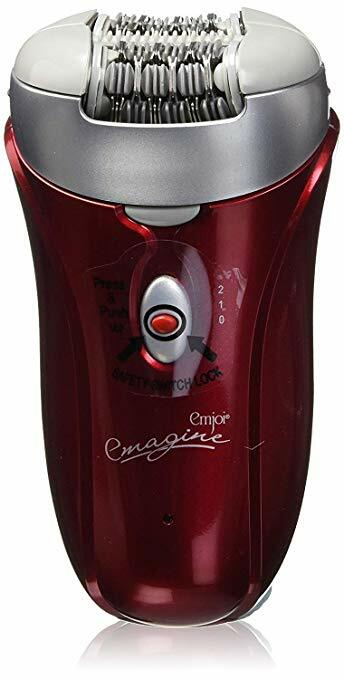 Considering that the average woman spends more than $10,000 on shaving-related products, it might be a better investment to buy a quality epilator. 2 How do epilators work? 3 How long do results last? 5 Where can you use epilators? 6 How to use epilators? There are more than 1000 different products on the market. That is one large sea filled with fish to catch. But while having options is always good, it can be depressing to find out which of these many epilators work best. In the last ten years, epilators have become much more advanced, with many new nifty features. With that in mind, we’ve conducted thorough research and found some of the best devices out there. What more can you ask from an epilator? This one contains everything you need to get effective and long-lasting hair removal. And the best part is, once you are done, the device is very simple to clean. If you are new in the world of epilators, or you have sensitive skin, this is the device for you because it enables epilation in the shower or bath. Simply put, the epilator is the gold standard. 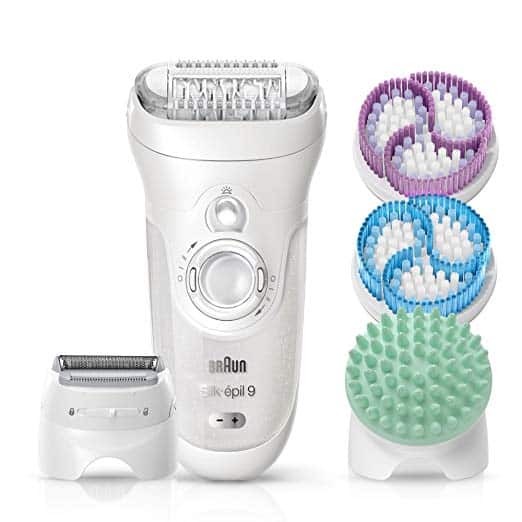 You get 12 extra pieces when buying, including epilator head, shaver-head, trimmer cap, deep exfoliation brush, deep body massage head, and much more. All of the features are dermatologically tested, and the head is 40% wider than other Braun epilators, able to capture more hairs on the first pass. Works both on wet and dry skin. With 40 tweezers, the epilator works at 2 different speed settings. Because it is waterproof, you can use it in the bath or shower, where the water can make your skin less sensitive. 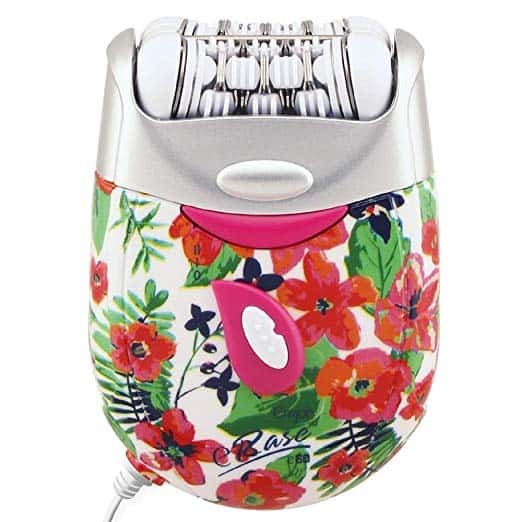 If you do not want to spend a fortune on an epilator, this one is the device to buy. Extremely cheap, yet comes with a nifty set of features. Philips can outperform many of the higher priced models, but it does come with some downsides. For starters, it is not the fastest model. It will take more time to go over your body, but it removes hairs from the root without breaking them. It might not be powerful, as it has just 21 tweezers, but can be used at 2 different speed settings. Comes with a washable head, and the long cable gives you freedom of movement. Another cheap model, this one is a bit more powerful than the Philips model. But it comes with a price higher for a few bucks as well. What makes the Remington better model is because it comes with 40 tweezers, and can be used on both wet and dry skin. In addition, the Remington EP7030E comes with attachments like an efficiency cap with aloe vera for skin massage, and a precision cap that can be used on the bikini area. 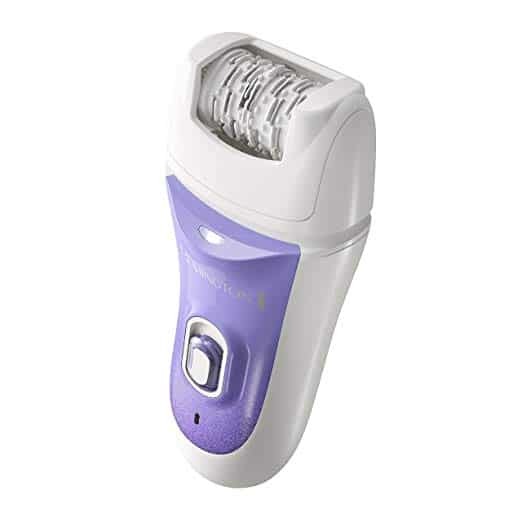 Basically, you are getting a complete body epilator for a low price. And it has a built-in light. Some women do not need full-body epilator. They only want something they can use on their eyebrows, mustaches, and facial hair in general. This is where the Braun miniature epilator comes into play. While it is small, it is tough on hair and has 10 micro-openings which will remove even the finest hairs at 0.02mm. Known as the FaceSpa, it is a great portable kit you can carry with you and help you stay hair-free. Designed specifically for facial hair, including chin, upper lip, forehead, and eyebrows. 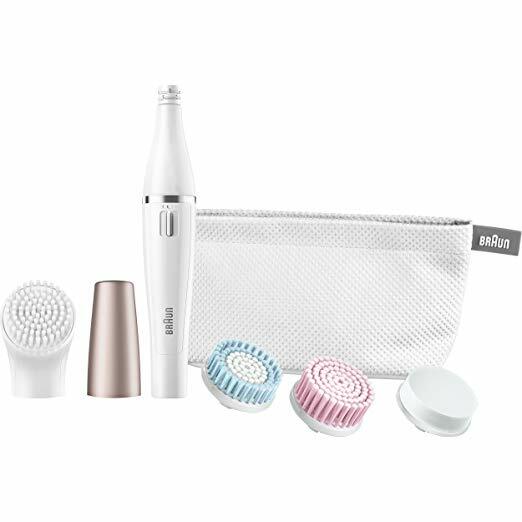 Contains sonic facial brushes that you can use on sensitive skin to cleanse your face deeply. You can use no matter if you are left or right handed, thanks to the nifty bi-directional feature. 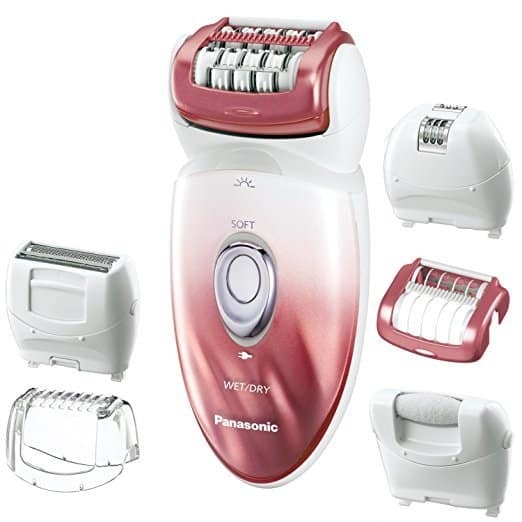 If you want a powerful epilator at a low price, you can easily find it here. Unlike other budget options, the Emjoi corded epilator has 60 tweezers that can remove hair rather quickly. And it comes with a sensitive attachment, meaning you can use on sensitive skin as well. Budget-friendly epilator you can use on the whole body, even the bikini and face area. Runs on two speeds, and it is up to you to choose the preferred one. It is understandable we have a lot of Braun products on the list of the best epilators. After all, Braun has been in the business for many years, and the company built its name on epilators. This one is the predecessor to the Braun Silk Epilator 7. The 5280 model is more reliable when it comes to charge and battery life because it is corded. Contains 40 tweezers that do not cut the hairs at the surface but pull them, massage rollers, built-in light, and can be used at 2 different speeds. The best part? It contains an ice pack you can use after epilation to soothe the skin. For those with sensitive skin, the Panasonic epilator is an almost perfect choice. Why? Because it uses hypoallergenic stainless-steel blades and foils. 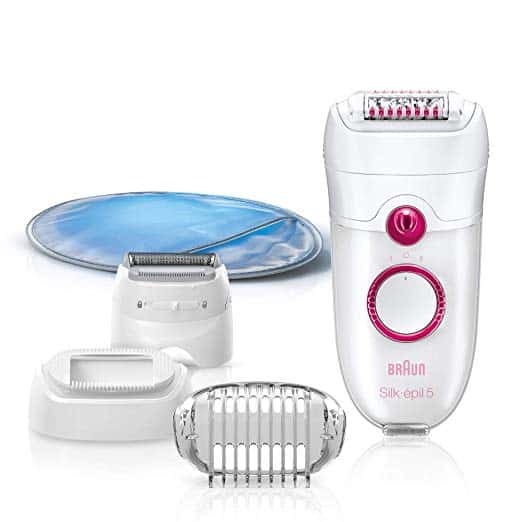 The epilator comes with 6 attachments, including a shaver head, trimmer cap, pedicure buffer, and much more. In addition, the epilator is 100% waterproof, meaning you can use in your bath and shower. And if you like to take things to the next level, the epilator works with shaving gel, foam, or soap. One of the best features is the ability to pivot the epilator head 30 degrees forward and backward, adapting to your body contours. 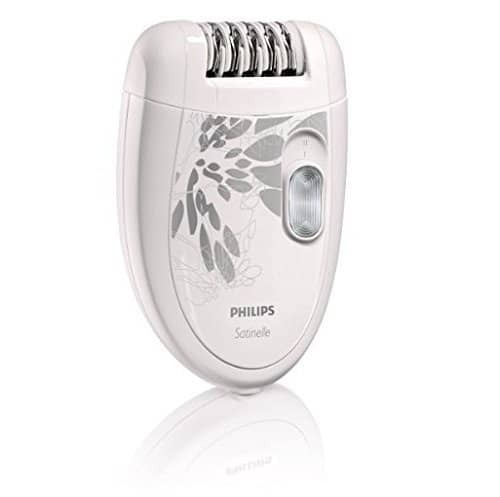 If you want power, this epilator delivers. It has the highest amount of tweezers among the top 10 epilators on the market with 72. Talk about power. That is crazy, but the 72 tweezers are real, and they featured on dual opposed heads, which hold the skin taut so the risk of pain is smaller. Thanks to Silver Ion technology, the epilator prevents ingrown hair, and the good things do not stop there. Another nifty feature is the glide technology, which ensures the tiniest hairs are removed from the first pass. The glide technology also allows the machine to work well on the curves of the body. 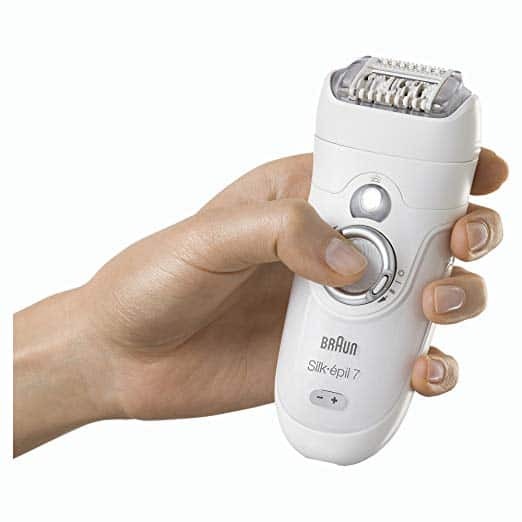 For many years, the Braun Silk Epil 7 was the gold standard for the best epilator. Well, that title now belongs to the Epil 9 by Braun. But that doesn’t mean that this “older” product is no good. In fact, it can still hold its ground against some premium epilators. And even men can use it since it is that powerful. Cordless, you can use it in both wet and dry conditions. When you look at the 40 tweezers, you might think it is nothing spectacular. But the speed is what makes it unique. And the tweezers can pluck hairs as tiny as 0.5mm, meaning it can remove even the smallest hairs. 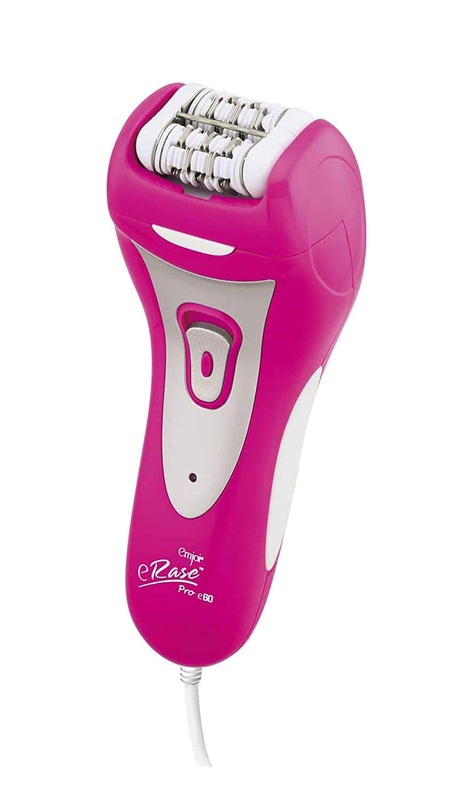 The epilator comes with a dedicated facial cap, sensitive area cap, and efficiency cap, making it perfect for whole body hair removal treatment. And even has a pivoting head. Do you want something more luxurious when it comes to epilators? Well, here is an epilator with tweezers plated with 24 karat gold. Yes, you read that right, you get gold epilator. There are only 36 tweezers, but that might be enough for some people. The blades also provide antimicrobial protection. One downside is that it is not suitable for wet skin, but it can still remove hairs of just 0.5mm in length. It is also gentle enough for sensitive areas. It offers some of the longest-lasting hair removal of up to 4 to 5 weeks. And the best part is, the epilator comes with pain reduction technology that reduces discomfort while epilating. A nifty addition is the massage finger that will further reduce discomfort. Epilators are electrical devices used to temporarily remove hair at the follicle level. When you think about it, epilators are electronic tweezers you can use to remove unwanted hair from legs, arms, bikini area, face, or anywhere else. Epilators work in the same way as waxing or tweezing, by plucking away hairs from the roots. The main difference is that the best epilator uses spinning discs or springs to capture hair on the skin level, and then the rotating motion of the moving parts pulls away from the hairs. Simply put, epilators give you a quick hair removal solution that can last for three to four weeks easily. With many epilators on the market, you have to make sure you get the best epilator possible. We are here to help you. Generally speaking, there are three types of epilators. Spring type epilators were the first ones to appear, and they have a rotating mechanism. Generally speaking, they are used for removing facial hair. In most cases, they are manual and consist a spring and two handles. Rotating disc epilators use a similar action to spring type, but have rotating metal plates or discs instead of coiled springs. They work by rotating a series of small metal discs rapidly and causing an effect similar to tweezers. Last, but not least, tweezer-type epilators have a similar design to rotating disc epilators, but with a more refined concept. The discs are no longer being complete, and the plates are being discontinued in some areas, allowing for a more efficient pulling action. One of the first question women have about using epilators for hair removal is how long the results last. Unlike shaving, epilators provide long-lasting results. Because they remove hairs straight at the root level, it takes more time for hair to grow back. In most cases, epilators can provide results lasting for two weeks. But the hair also becomes thinner and finer, and you will need to use the machine less and less often. The more you use it, the longer it will take for hair to regrow, and after a while, hair might stop growing at all in some areas. One benefit of epilators is that they can remove hair that is shorter for other hair removal methods. This way, you can remove stubbles with no effort. The second most common question regarding epilators is the pain level. Does it hurt? Well, sadly, they hurt a bit, but that is all because they remove hair at the root level. Epilators are more efficient than shaving, and that comes with a price. During the first few times you use the epilator, the pain might be higher. Your body is still not used to having multiple hairs pulled out. As you use it more and more, you will adapt to the pain, and it will hurt less. Some epilators even come with a pre-massage mechanism, or wet system, all for you to receive gentler treatment. Where can you use epilators? In most cases, epilators are designed for full body use. They can pull off any hair type you have. However, in some cases, there are epilators that are specifically designed for certain areas. And if you want to remove facial hair, you might consider buying an epilator designed specifically for that purpose. Or you can just change the head if that is possible. And when you have to work through the bikini area, you want a smaller and lighter epilator that is easy to maneuver. Using an epilator is a three-step process. It requires preparation, gentle use, and after-care. With that in mind, here is a breakdown of the three-step process. During the epilation, the most important thing to remember is to stay cool and calm. Yes, it will not be pleasant at all times. Once you are done with the epilator, it is time to take care of your skin. The golden rule here is to add a moisturizer after epilating, not before. Apply any nourishing body lotion. It is best that you epilate in the evening so that you can wake up with soft and silky skin in the morning.